Can Over-the-Counter Progesterone Cream Prevent a Miscarriage? Some researchers theorize that a low progesterone level could cause miscarriage in some women, particularly in those who have had recurrent miscarriages. But does that mean that you should run out and buy progesterone cream from your local health food store? The short answer is: Don't touch it until you've talked to your doctor. Why Do Some Women Use Progesterone? Progesterone is a hormone that is associated with the menstrual cycle. A woman's level of progesterone rises after ovulation and falls just before she gets her period. In pregnancy, the progesterone level should stay elevated. Progesterone works to maintain the uterine lining and, thus, indirectly nourish the developing baby. So one theory is that a low progesterone level during pregnancy could indicate that a woman has an insufficient uterine lining. For this reason, some doctors prescribe progesterone supplements to women who have had past miscarriages in the hopes that the supplements might reduce the risk of miscarriage in the future. However, no study has proved, definitively, that progesterone supplements prevent miscarriage—except in women who are using in vitro fertilization (IVF) or other reproductive technologies to get pregnant. As a result, there aren't any medical organizations that advise women who have had recurrent miscarriages to take progesterone supplementation. You are likely to see progesterone creams on health food store shelves. These creams are available over the counter, thus circumventing the need to find a doctor who is on board with prescribing progesterone supplements. Some so-called progesterone creams are, indeed, worthless. For example, creams that are derived from wild yams do not contain any progesterone; they merely contain a chemical that can be converted to progesterone in a laboratory—but not in the body. It is not a good idea to buy wild yam cream with the idea of boosting your progesterone and preventing a miscarriage. It will not work. Other progesterone creams on the market actually do contain real progesterone that can be absorbed by the body. However, these creams are highly variable in the amount of progesterone that they contain. Some doctors have reported having patients who were using the creams and ended up with extremely high progesterone levels, some even 10 to 100 times the normal level found in the body. Other creams contain much smaller amounts, but there is a lot of variability in terms of how well it is absorbed. No studies have looked at how a fetus might be affected if a mother has an extremely high progesterone level during pregnancy due to using a progesterone cream. 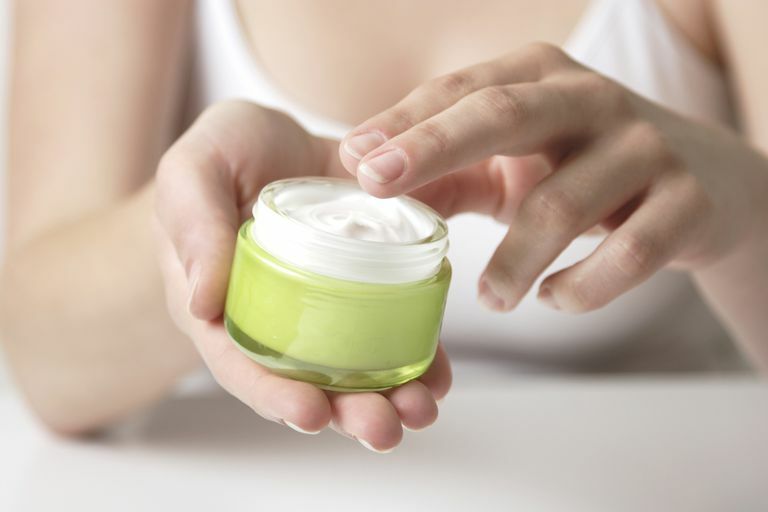 Should You Use an OTC Cream? Remember, the majority of one-time miscarriages and a significant number of recurrent miscarriages involve chromosomal abnormalities in the developing baby and other factors that would not be affected by a low progesterone level. Gorski, Timothy, "Wild yam cream threatens women's health." Nutrition Forum May 1997. Hermann, Anne C., Anne N. Nafziger, Jennifer Victory, Robert Kulawy, Mario L. Rocci Jr, and Joseph S. Bertino, Jr., "Over-the-Counter Progesterone Cream Produces Significant Drug Exposure Compared to a Food and Drug Administration–Approved Oral Progesterone Product." Journal of Clinical Pharmacology 2005. Oates-Whitehead, R.M., D.M. Haas, and J.A.K. Carrier, "Progestogen for preventing miscarriage." Cochrane Reviews Aug 2003.